Enjoy hamburgers and hot dogs at the Eagles. 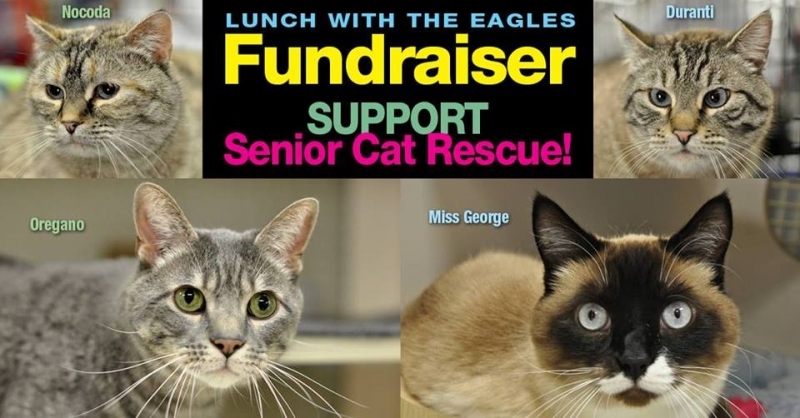 meet our SENIOR CATS, and get some sweets from our bake sale. The event is free, but proceeds from your food purchases support our Senior for Senior program.